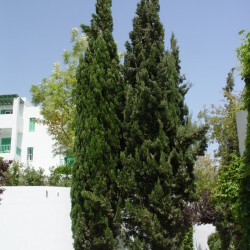 This well-known columnar Italian Cypress can be found throughout the Mediterranean and parts of the Middle East. 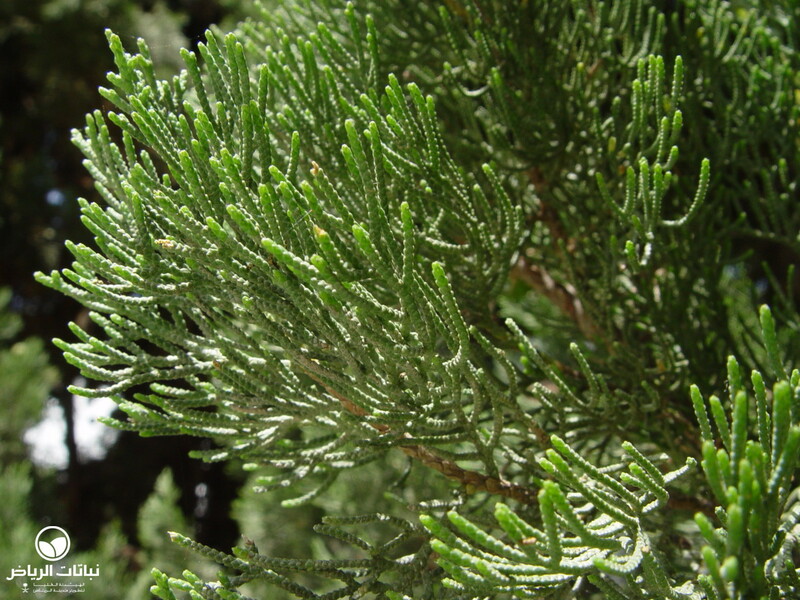 It is an evergreen conifer that reaches a height of 20 to 30 metres. 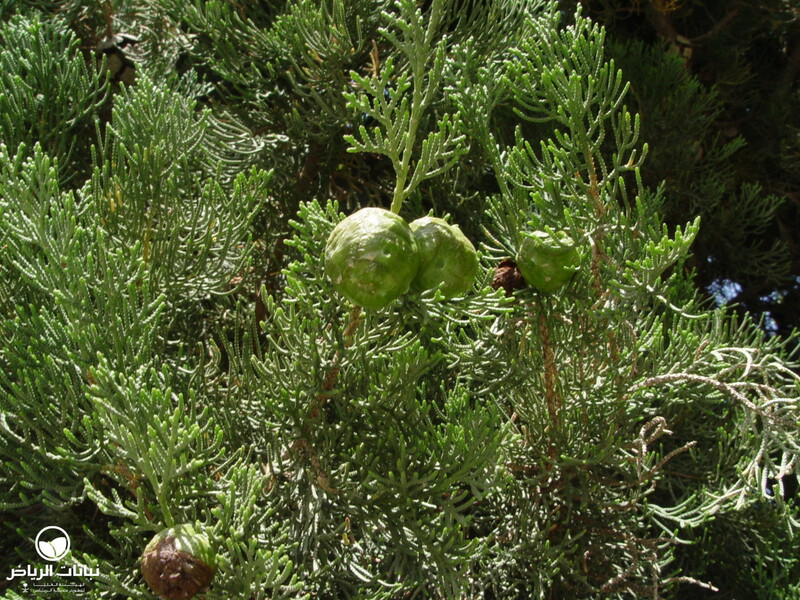 The Italian Cypress grows in limy, clayey soils that can be dry and poor, but must be well drained. This tree is very erect and has a narrow, tapering column form. 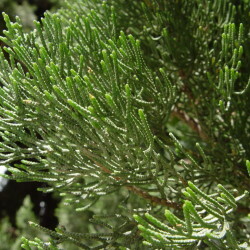 The tiny, dark, grey-green leaves are dense and fine-textured. 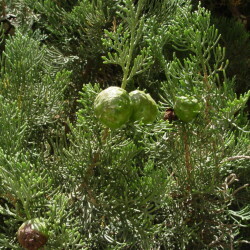 The stem is densely branched with erect branches. The bark is fibrous, thin and grey when mature. 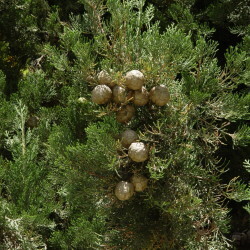 The flowers and fruits or small cones are inconspicuous. Propagation is by seed and cuttings. It withstands intense heat and aridity, responding well to deep watering every month or two. 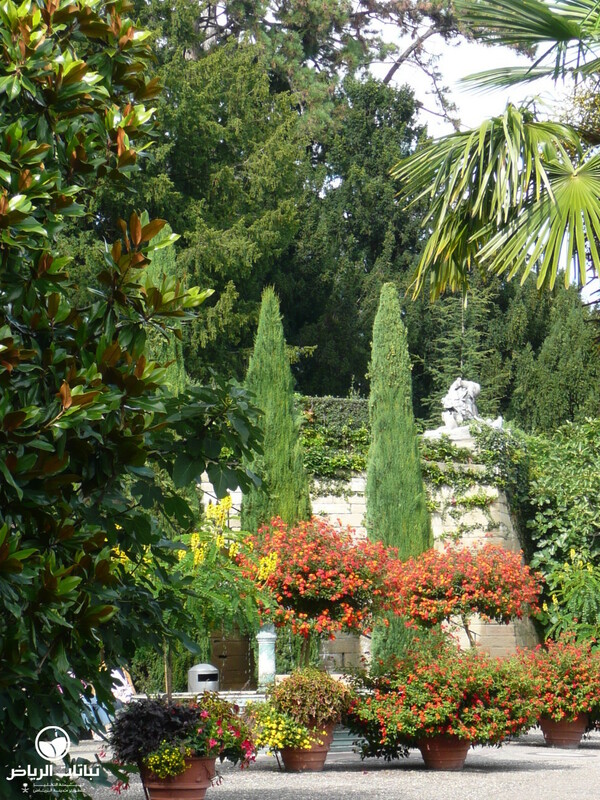 In the ancient world, the cypress wood was treasured because of its durability. 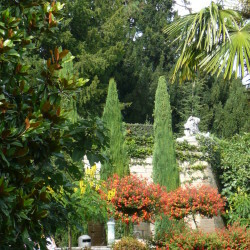 With its elegant and unique vertical accent, it makes a very impressive specimen tree, especially in formal gardens. It is also valuable as a tall screen, for high hedges, as a wind shelter and in rows along roads or formal driveways. 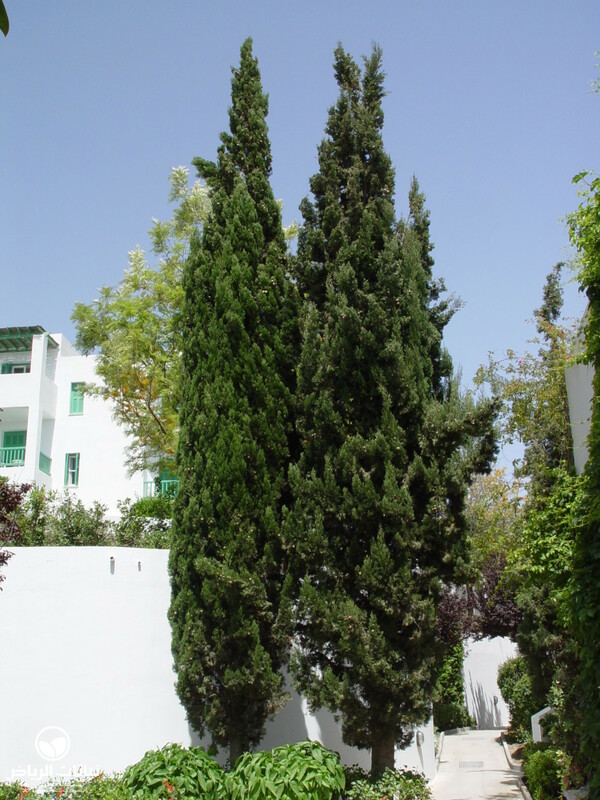 Too much fertiliser or even water will make the tree leggy and floppy, spoiling the columnar habit. Some branches may require tying in. Care should be taken in choosing the location where this tree is to grow, owing to its ultimate size. 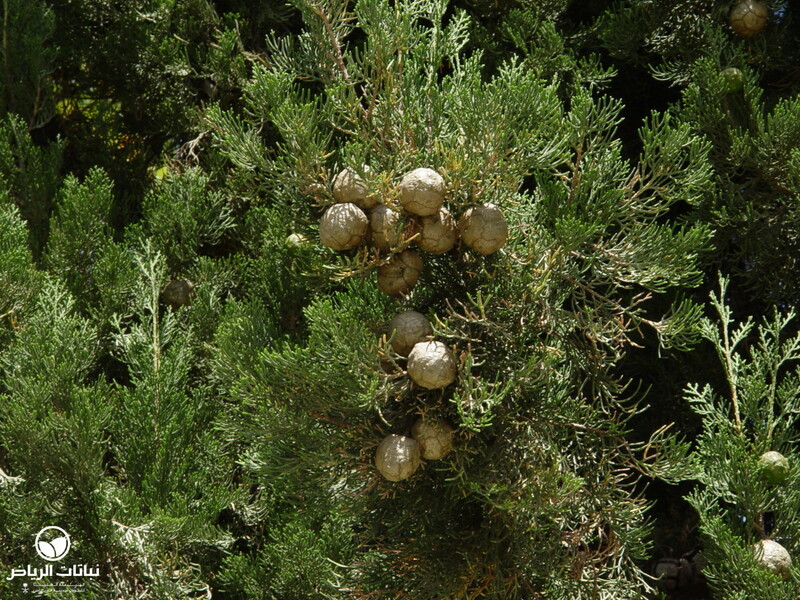 Attempts have been made to grow C. sempervirens in Arriyadh, but they have not always been successful: it is probably best in a wadi, park-like garden sheltered by other trees.